It’s that time again when Singaporeans jet off for their year-end holidays. When abroad, it is important to take care of your skin – especially if you have a pre-existing condition – to ensure that it does not flare up, and ruin your holiday. When you’re on holiday, the number of hours spent in the sun is generally far greater than what you’re used to, which makes you more susceptible to sunburn due to ultraviolet (UV) radiation. When at the beach or hiking in the mountains, remember to reapply sunscreen every three to four hours. If you’re on a winter holiday, it is equally important to use sunscreen. UV radiation is very intense in the mountains, as it is reflected off the snow and ice. Even on a cloudy day, UV radiation can damage your skin. Long flights can dry out facial skin. Signs of excessive facial dryness include flaking, especially on the sides of the nose and cheeks. If this is not addressed, your skin may turn patchy and red, and even start to itch. A facial moisturiser helps calm the skin and prevents eczema from developing. Facial moisturisers are usually not as rich as regular body moisturisers or lotion, and good ones are non-comedogenic, which means they will not clog pores. Use on a daily basis. This is especially important for winter holidays. Even people with relatively normal skin will experience dry skin in winter environments, and the effect is greater for someone who already has dry skin or eczema. 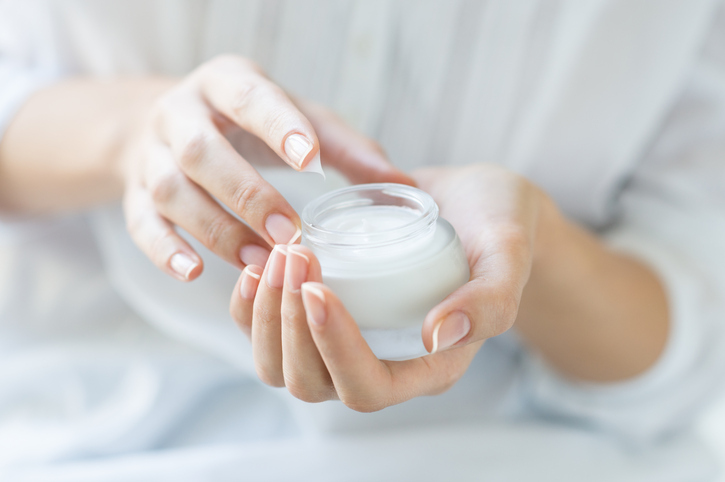 Use body moisturisers daily, and it might be a good idea to pack a smaller tube of hand cream or lotion you can carry with you for frequent application. Avoid using regular soaps or harsh cleansers on the face, as these would exacerbate dry skin. Gentle “soapless” facial cleansers will clean the face and remove makeup without drying the skin. Leaving your lips exposed to dry and cold conditions may lead to cheilitis (inflammation of the lips). The lips will feel dry and chapped, and small cuts or fissures can appear on the lips and corners of the mouth. This can be painful and may affect your eating. Using a lip balm throughout the day will help prevent this. Keep this in your list of first aid items. A topical antibiotic ointment can be useful to treat cuts or abrasions, and prevent any infection. Insect repellents are useful to reduce the chance of catching mosquito-borne viruses, such as dengue and Zika. However, insect repellents will not protect you from all types of insects, so exercise caution and listen to advice from your tour guide or the locals. Finally, if you have a chronic skin condition such as eczema or psoriasis, remember to pack your creams and lotions.